Do you like some dropshipping niche and want to know if you can make money from it? 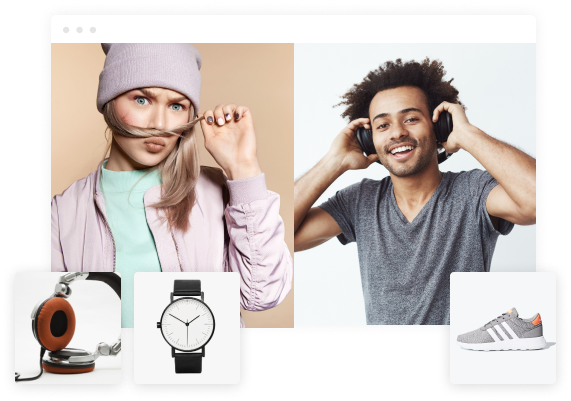 Answer 11 simple questions and learn if you found the best niche for your online store! 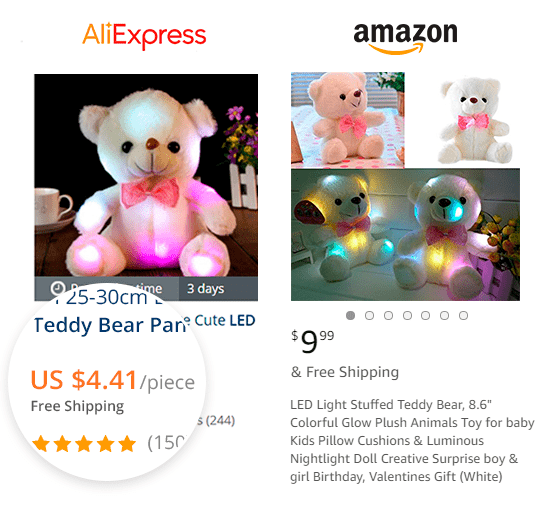 AliExpress products quantity. 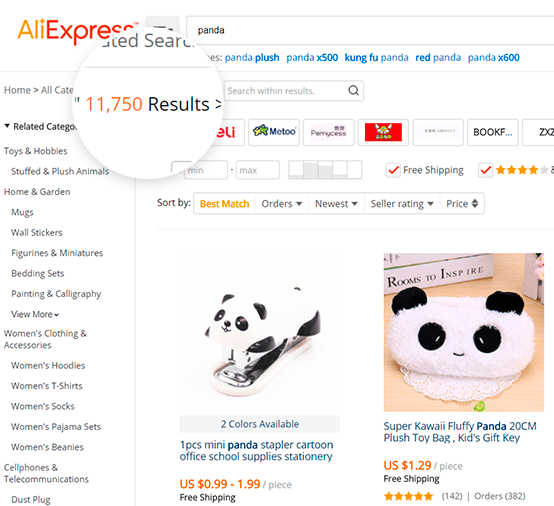 On AliExpress, write your niche keyword in the search bar. Tick the ‘Free Shipping’ and ‘4* & Up’ boxes. How many items have you found? The niche popularity on AliExpress. Now, take the same search results, and sort the items by the number of orders. Take the first 10 products and sum up the total number of orders for them. How many orders are there? Trusted supplier. 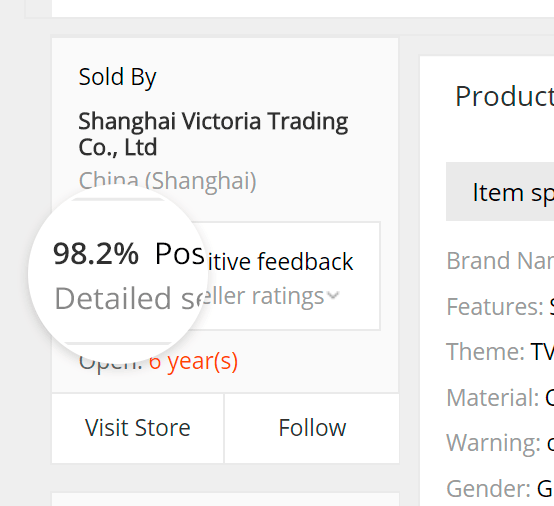 Look at the same 10 items and find their sellers’ rating. What is the AVERAGE rating for these 10 sellers? Price setting aspects. Take the most popular item out of these 10 products, and find a similar item in 3-5 other stores (NOT on AliExpress!). 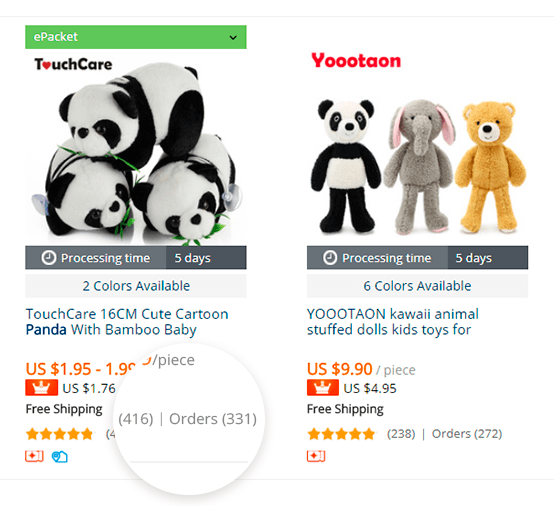 Calculate the AVERAGE price of these alternative products, and compare it with AliExpress price. What's the difference? Trends. 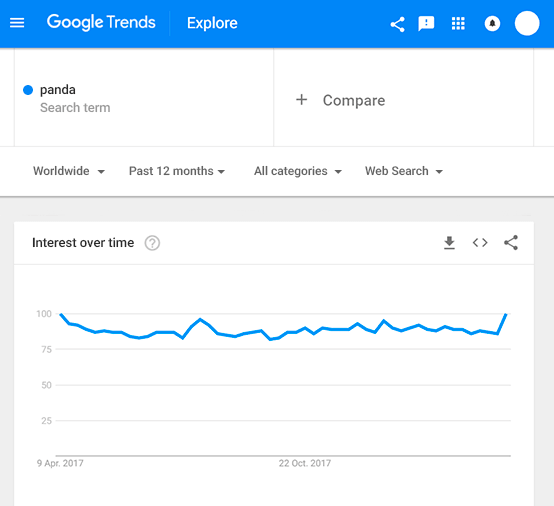 Use the ‘Google Trends’ tool. Enter the name of your niche in the search field. We are interested in the results over the past 12 months worldwide. Look at the graph to find out if the trend goes up or down. What result do you get? SEO. 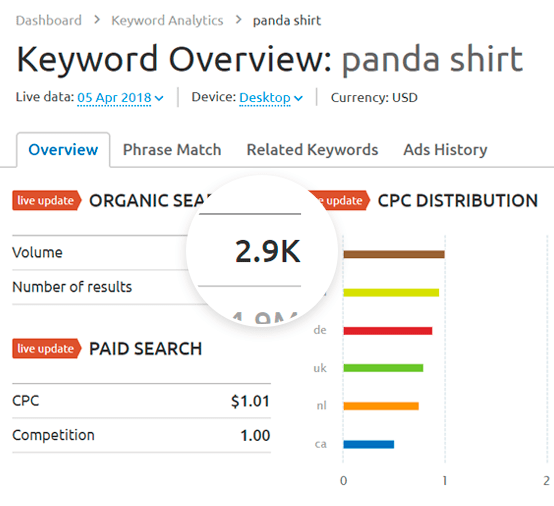 Go to SEMrush and enter your keywords (for example, “panda shirt”) in the search field. 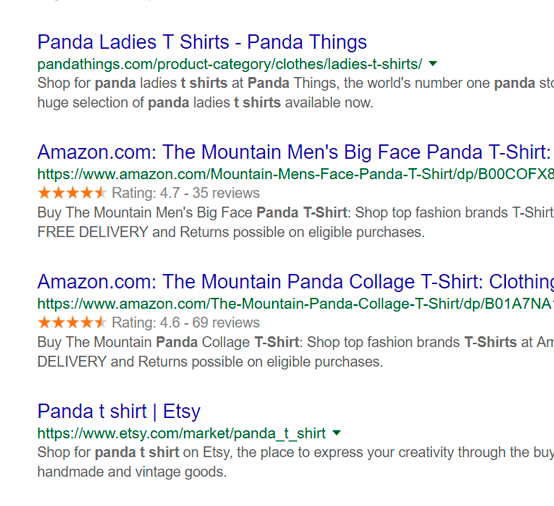 In the 'Organic Search' field, look at the Volume parameter. What is the number? Competition. 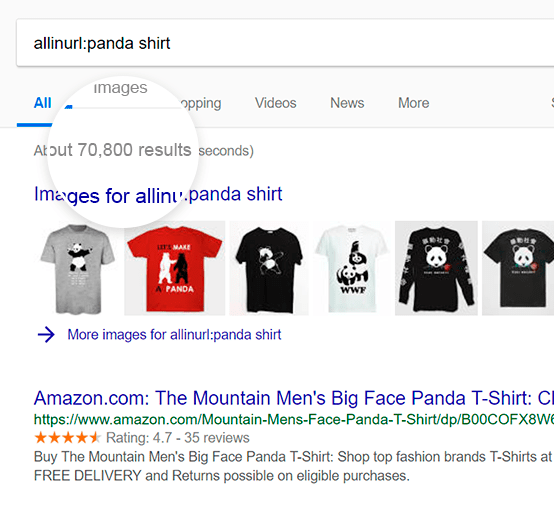 Open Google search page, enter your query in the search field like this: allinurl:niche name (for example: allinurl:panda shirt) and press “search”. You will see the pages that have this keyword in their URL. They are your competitors. How many results are there? Keyword Explorer. Register with Moz and get the access to Keyword Explorer tool. Enter your keyword in the search field, choose “United States” and press “try free”. 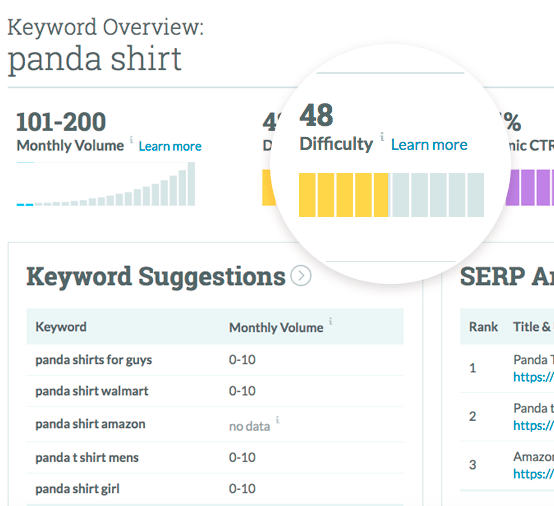 The “Difficulty” parameter estimates how difficult it is for you to rank higher than the current competitors on the first page of search results. What figure do you get here? General use of search engines. Enter your niche keyword in Google search field and study the results on the first 2 pages. The first pages can be taken by Amazon, eBay and other giants. The results can include not only your competitors but also Easy Target – services like Yahoo! Answers or some spammy articles. What are your results? Instagram. 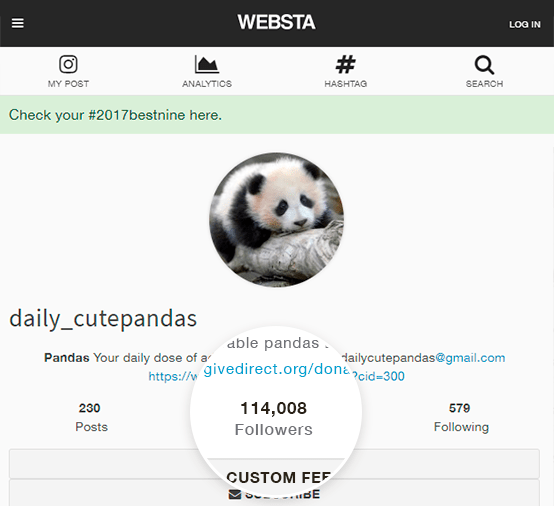 Use the Websta service. Type the chosen category in the ‘Search’ field. How many accounts with more than 30 000 followers do you get? Facebook. 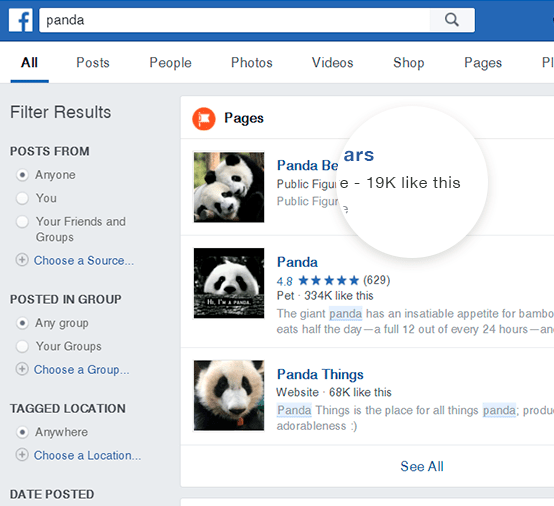 Type the name of your niche in the ‘Search’ field and choose the ‘Groups’ section. You will see a list of the existing groups that have this keyword in their name, and the number of their members. How many groups with more than 30 000 members have you found?